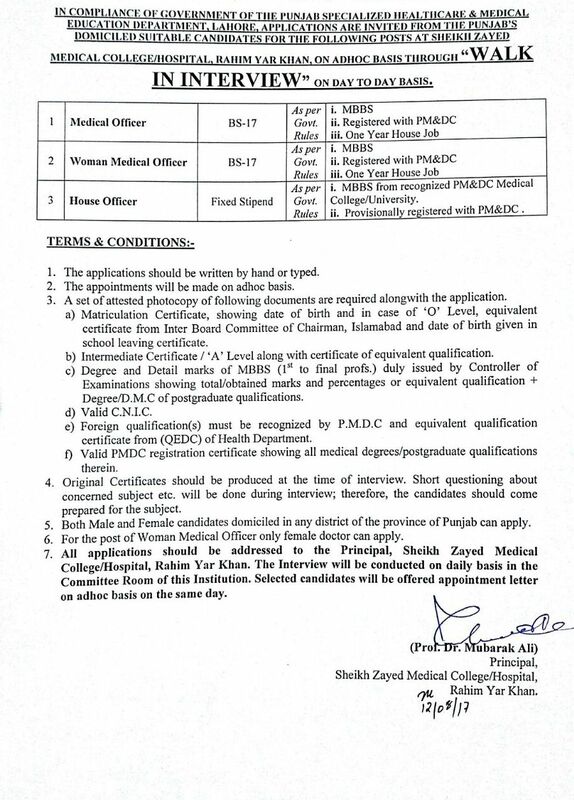 Applications are invited from the Punjab’s domiciled suitable candidates at Sheikh Zayed Medical College/Hospital Rahim Yar Khan, on Adhoc Basis through “Walk In interview” on Day to Day Basis. A Three day ‘Workshop on Cognitive Behavioral Therapy’ organized by the Department of Psychiatry and Behavioral Sciences, Sheikh Zayed Medical College/Hospital, Rahim Yar Khan from 17th March to 19th March 2017. Hon’able Principal Sheikh Zayed Medical College/Hospital Prof Dr. Mubarak Ali became the Chief Guest. In his address, he appreciated the efforts of Dr. Ali Burhan Mustafa (Assistant Professor/HOD) upon the mental health capacity building of the Professionals. He highlighted the importance of CBT and its effectiveness in coping with variant stressful situations of the day. He emphasized upon establishing the CBT service which will bring drastic change in the horizon of mental health alongwith assist in reducing the stigma. 11TH Annual Sports 2017 of Sheikh Zayed Medical College Rahim Yar Khan held from 18TH March to 22NDMarch. Prof. Dr. Syed Muhammad Aijaz Ali welcomed the Chief guest Prof. Dr. Mubarak Ali Principal SZMC RYKhan, Worthy Principal announced,” Sports Opening “. All the viewers, students and teaching staff stood up while unique “National Anthem” was played on violin. In his address, he said that games have very important role in healthy life and such activities should continue during the education. The players should have also spirit of competition. Final events of the sports celebrated on last day 22nd March. Stalls of different classes with their themes were presented there. Medals were given to the winners on the victory stand. In the end, Prof. Dr. Mubarak Ali congratulated the Sports President and Sports Committee who worked hard with full dedication. Principal Sheikh Zayed Medical College Prof. Dr. Mubarak Ali along with MS Sheikh Zayed Hospital Dr. Ghulam Rabbani visited the Medicine department of Sheikh Zayed Hospital Rahim Yar Khan, on 27th February 2017. Prof Dr. Irfan Ahmad (Head of Medicine Unit-I) and Prof Dr. Ghulam Fareed (Head of Medicine Unit-II) welcomed the distinguished Principal in Medicine Department and briefed the honorable Principal about latest position and working. Principal Prof Dr. Mubarak Ali met with faculty members, consultants and also delivered the lecture on Patient Care and ward management. 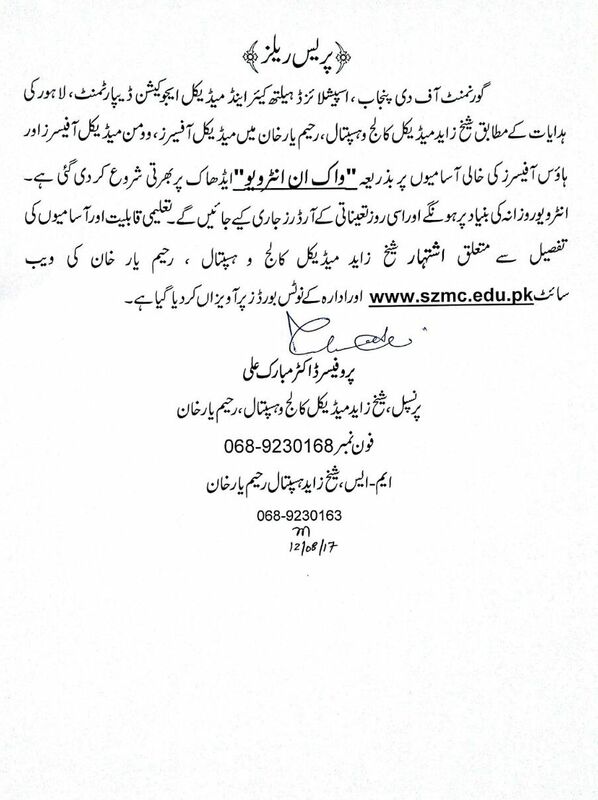 The honorable Principal appreciated working of Medicine Department. 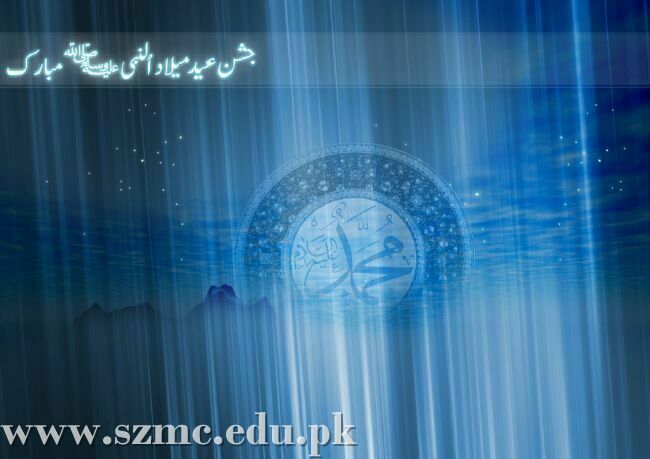 On behalf of SZMC, I welcome you and wish you every success here. We believe that each employee contributes directly to the growth and success, and we hope you will take pride in being a Head of our team. We hope that your experience here will be challenging, enjoyable, and rewarding. Again, welcome!